Forensic Psychiatrist. Child Psychiatry, General Psychiatry and Forensic Psychiatry. Great Neck, New York. Dr. Kaplan is a voluntary attending physician in the Division of Child Psychiatry at the North Shore-LIJ Health System. He is the training coordinator of the Forensic Child Psychiatry Program. Dr. Kaplan is engaged in the private practice of Child, Adult and Forensic Psychiatry. 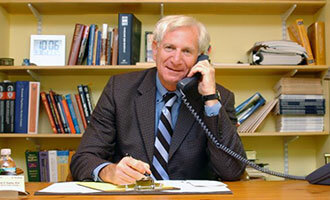 He is a graduate of Brown University and the Brown University Program in Medicine. Dr. Kaplan completed his internship, residency and child psychiatry fellowship at the University of Chicago Hospitals and Clinics. He then completed a research fellowship in public psychiatry and epidemiology at the Columbia University College of Physicians and Surgeons. Dr. Kaplan is certified by the American Board of Psychiatry and Neurology in General Psychiatry, Child Psychiatry and Forensic Psychiatry. Dr. Kaplan helped start and was the Director of The Center for Psychiatric Legal Services at the Schneider Children’s Hospital and the Long Island Jewish Medical Center. The Center provided comprehensive evaluations and intensive treatment for children and adolescents with serious behavioral problems including truancy, delinquency, aggression and sexually inappropriate behavior that impacted their school and community and often involved the Criminal Justice System.